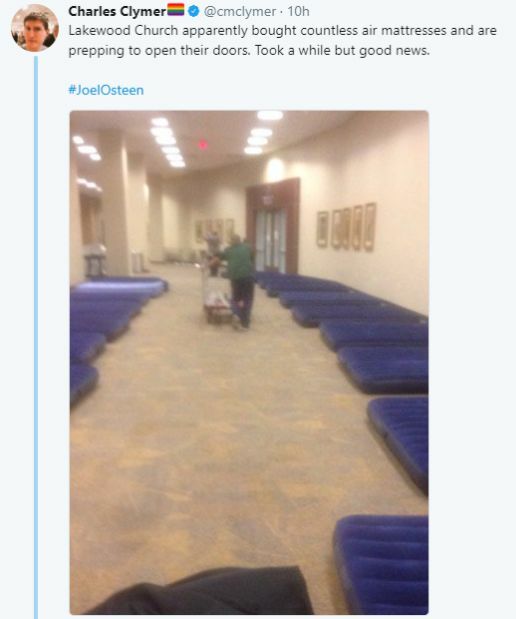 Many people ignorantly criticized Joel Osteen, Senior Pastor of Lakewood Church on social media on Monday due to fake stories that he closed the church doors to victims of Hurricane Harvey. The church, located in Houston which has been hit by the hurricane, had announced cancellation of its services for Saturday & Sunday, August 26 & 27, due to the weather impact of the storm. In a statement by Joel, the church said it “never closed” its doors to victims and will continue to be a distribution centre for those in need.